Beyond the wisdom of a lifetime and wide open days without having to be in an office, retirement offers benefits like great senior discounts if you know where to find them! Both locally and around the country, there is no need to pay full price for a huge range of products and services that you may want to enjoy. Some programs are free to join, while others have one-time or annual fees – though these frequently pay for themselves very quickly through the discounts they provide. Ask around your community for which programs others have found most beneficial, or check out the popular options below. 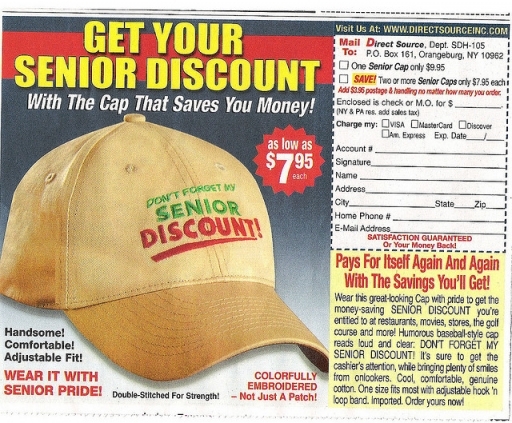 The Senior Save discount program is a must for seniors in the Chicago area. Membership is free, available to Chicago residents at least 60 years of age, and provides discounts at all kinds of local retailers, restaurants, service providers and other merchants. The full list of participating vendors is available online here. Apply for your SeniorSave membership at any Chicago Department of Senior Services senior center, Golden Diner site, or CHA senior building. If you need help finding a sign-up location near you, call 3-1-1 for assistance. On the national level, AARP, Inc., formerly the American Association of Retired Persons, has negotiated a wide variety of discounts on behalf of its members. To become a member, you simply must be 50 years of age or better, apply, and pay the $16 annual membership fee. The most utilized AARP deals are for travel, including hotels and rental cars, where you can get up to 20-25% off. Local Chicago AARP discount opportunities include Denny’s restaurant, Dunkin’ Donuts, ZipCar, the UPS Store, 1-800-Flowers, the Hilton, AT&T Wireless services, and much more. Enter your zip code on the AARP site to find out details of the offers near you. If you’re more of an outdoorsy type, make sure to get the USGS Senior Pass, which is also good all around the country. You can buy a USGS Senior Pass in person from participating Federal recreation sites or using the USGS online store. The $10 lifetime pass provides access to more than 2,000 recreation sites managed by five Federal agencies, and proceeds go to improving visitor recreation services. Senior Pass benefits and discounts are available at individual campsites, at campsites with utility hookups, at group campsites and other facilities such as group facilities, picnic areas or pavilions. In addition to taking advantage of the Chicago Senior Save Discount Program, AARP membership discounts, and the USGS Senior Pass, always ask if there’s a senior discount wherever you go. Some places offer their own discount without being a part of these larger networks, and still others offer discounts they don’t advertise but honor if you inquire. Don’t be shy – allow merchants to honor you and express their appreciation for your business by giving you a special rate to make the whole experience more satisfying and enjoyable!